As at home in a rural and relaxed vacation spot as it is in an edgy urban loft, the Vintage Dining Table by Moe’s Home is an eye-catching amalgam of rustic and refined. 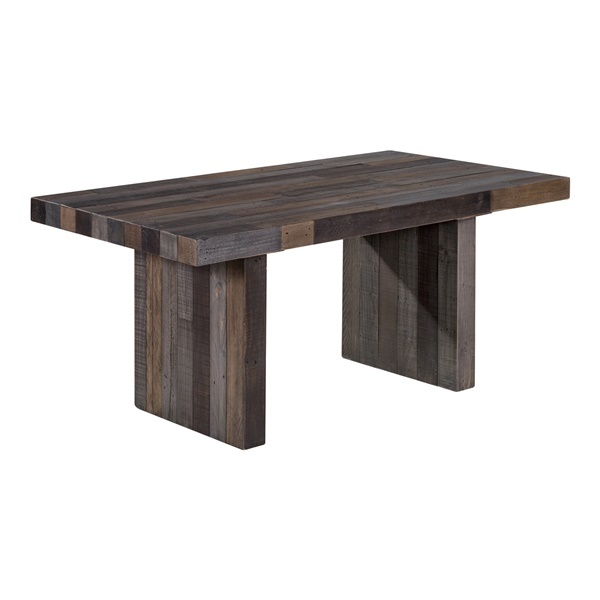 Starting with its simple yet solid design of environmentally responsible recycled pine, Moe’s Vintage Dining Table offers both visual and textural appeal with a multicolor finish that fits into various décor schemes. With room for six, Moe’s Vintage Dining Table offers elegance with an edge, on its own or arranged along with other Vintage pieces by Moe’s Home. Clean-lined contemporary design with rustic edge. Eco-friendly craftsmanship of recycled pine. Complements other Vintage pieces by Moe’s.